Music is not something to do in isolation and I have had the pleasure and privilege of working with many inspirational musicians, too numerous to list here. I salute them all as masters of their art and thank them for their friendship, enthusiasm and encouragement. I am excited to be joining folk fiddler turned Baroque violinist Morag Johnston and friends in this new and exciting group. Our mission is to find the place where Baroque and traditional music meet. The combination of our musical bakcgrounds means you may hear a Shetlandic set segue into music from the 17th century theatre, a medieval dance followed by a contemporary improvisation. We believe in bringing the music to people – not the other way round. We play mainly from memory – speaking more directly to the audience without the barrier of music stands. Please visit our website and our Facebook page for details of performances in 2018. We are already booked to be in Somerset and Edinburgh! You can also hear some sounds from our London debut at the Classical Transmission Series. 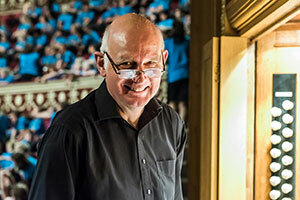 I have joined the BPO for performances at the TED conference in Brussels, the Queen Elizabeth Hall in London as part of the Southbank’s 2012 Unlimited Festival, at the Colston Hall, Bristol with the Southbank Sinfonia and at the Symphony Hall, Birmingham with the CBSO. See the performances on my Videos page. I am looking forward to working on new projects with new music in 2018. Trevor Hughes and I first worked together in 2009 and have developed a lasting partnership. Equally at home on the organ, piano or harpsichord, Trevor’s musical tastes and expertise know no bounds, his sight-reading no limits and his patience no ends. You can hear some of our work together on the audio page. 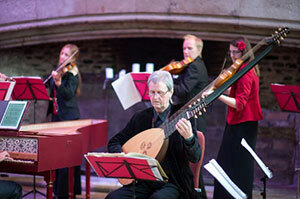 Devon Baroque, directed until March 2012 by renowned violinist Margaret Faultless, has developed a reputation in the South West for it’s vibrant and historically informed performances. I am proud to have joined the orchestra on a number of occasions as soloist in concertos by Vivaldi, Telemann and Bach in my home county of Devon. 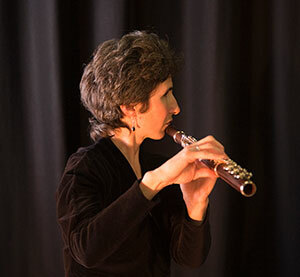 I have also given recitals on Handel and the English Flute and The Golden Age of English Music. Tactile, founded by vibraphone player Jackie Walduck is a small ensemble that creates improvised and semi-composed music. It brings together blind and sighted musicians to explore the impact of visual and non-visual communication in performance. Tactile’s debut was in a darkened Vortex Jazz Club. You can se a clip here. 2017 saw Tactile working at the idyllic Thornham Magna Estate in Suffolk on the Sensing Nature project with Waveney and Blithe Arts. Groups of blind and partially sighted musicians from across East Anglia came together to perform alongside Tactile to accompany a series of guided tours through the woods. The music was inspired by the ways in which animals use senses other than sight in order to survive, and the sonic environment this creates. As the person responsible for introducing me to the recorder, my elder sister Kate has been a continuing influence and source of great musical inspiration. Our repertoire overlaps in the 18th and 20th centuries which is reflected in our programme ‘Pipelines’. After misappropriating each other’s repertoire for too long, we are now on the look-out for commissioning opportunities for something new. If you are a composer, please drop me a line via my contact page if you think this would provide an interesting opportunity. The Cedars Orchestra, based near Worcester for over twenty years was my home as a clarinettist for eight years. Merren Anthony, its founder, conductor and life force was born to teach, inspire and nurture young people through music. Every Sunday she opened her house to dozens of young people to do just this. The orchestra performed several times each term, raising thousands of pounds each year for local charities. Her infectious personality, down-to-earth humour and gentle encouragement bore thrilling results and did much to broaden this young musician’s mind and confidence. Performing Mozart’s clarinet concerto on a basset clarinet was the thrilling high point of my clarinet career, thank you Mrs. A! In her amazing music room in Totnes, Klyne immersed herself in the music of the Baroque harpsichordists and shared her passion with invited guests. She was a willing and wonderful accompanist and mentor throughout my teenage years, intrepidly lifting her harpsichord from its first-floor home, into her car and travelling as far afield as Worcester and London to give recitals. Klyne’s encouragement and generous commitment helped kindle my love for performing and presenting music.